Please welcome our first guest SHINE blogger, Lorraine, with a few tips for approaching the New Year. Since a couple of years back, I’ve made a little tradition for myself. It’s to take the age old saying of ‘start as you mean to go on’ and literally plonk it at the beginning of the year. As tough as it can be to peel ourselves out of bed come 1st January, I always feel as if it’s potentially the most important day of the year to take a look at what you’re saying ‘yes!’ to. We are the creators of our own reality, right? More than we know, our positive minds make positive vibes make positive tribes. 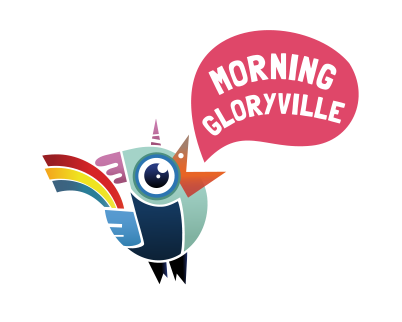 You only have to take a peek and pop a precious toe on our beloved Morning Gloryville dance floor to feel the ripple of #thegloryvilleffect to see this in action. I personally wish to say ‘yes’ to continuing creating beautiful experiences to truly nourish themselves and get in touch with their unique truth, and I know that by getting the year off sharing this space with you will be just the ticket. Lorraine is currently offering this very special retreat as a perk on The Gloryville Effect indiegogo campaign. Book your place on the Relax and Renew Mini Retreat here. Ask Lorraine a question here. Thank you Lorraine – we for one, can’t wait!